Lange Lift Gates are entirely custom built to customer specifications. Each truck lift gate we manufacture is one of a kind, built to last using high quality materials, expert craftsmanship, and reliable components. We take a sky is the limit approach to our features so that you get precisely what you want. Our engineers will work directly with you from concept to production. We use the latest in 3D CAD design to bring our designs to life to share with you prior to production. We have the field proven expertise behind over 80 years of experience in custom lift product design for truck body manufacturers and their customers that require the best performance for their delivery drivers. 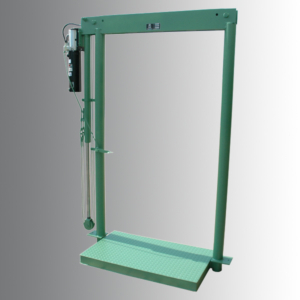 DC powered truck lift gates with capacities from 1,000 to 5,000 pounds.